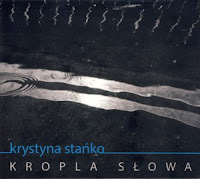 This is the sixth album by Polish Jazz vocalist / composer / lyricist Krystyna Stanko, and her most ambitious undertaking to date, as it presents her in the Jazz & Poetry setting, which is always very demanding and perilous. The album comprises of ten songs; four of which have lyrics by the Nobel Prize laureate poetess Wislawa Szymborska (who died in 2012), two with lyrics by poetess Halina Poswiatowska (who died in 1967 at a ridiculous young age of 32), one with lyrics by poetess Dorota Szatters (a contemporary lyricist living in Silesia, the southern part of Poland), one with lyrics by the poet Tomasz Jastrun (well-known for his involvement with the underground literary movement during the Socialist regime) and the last two with lyrics by Stanko herself. 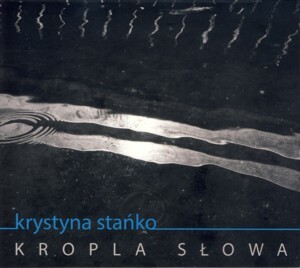 Of the ten songs, seven were composed by vibraphonist / composer Dominik Bukowski, two by Stanko and one by bassist / composer Paul Rutschka, who is Stanko's nephew. The songs are performed by Stanko, who is accompanied by a core trio, which includes Bukowski and the wonderful rhythm section of bassist Piotr Lemanczyk and drummer Cezary Konrad. In addition several excellent musicians participate as guests adding their contributions to one or two of the songs, those being: saxophonists Maciej Obara and Irek Wojtczak, guitarist Jacek Krolik, percussionist Miroslaw Hady, Indonesian pianist Sri Hanuraga and bassist Paul Rutschka. A string quartet is also utilized on a couple of songs. The presence of so many musicians creates a much diversified album, with each of the songs being quite distinct and different sounding instrumentally, which enhances the listening experience and allows for unexpected vistas. Of course the diversity does not disturb the general atmosphere of the album, which is wonderfully lyrical and introvert, as are most Polish Jazz & Poetry albums. For listeners familiar with the Polish scene, this album immediately brings on a need to match it up against the recent work by Polish Jazz vocalist Aga Zaryan, which is conceptually and spiritually in the same aesthetic sphere of influence. In fact this album is incredibly akin to Zaryan's latest album. One can only speculate as to how much of this proximity is intentional, but probably very little. 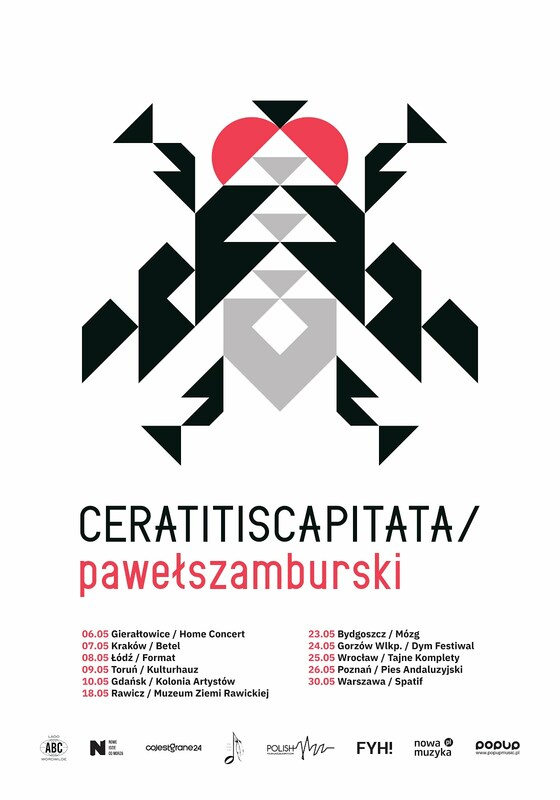 It is more likely a result of the characteristics of both Polish Jazz and Polish Poetry being so dominant, with the distinctive rhythm of the language, its "playability" and inherent musicality, which contributed to this close encounter. Of course these albums are also wonderfully different, which creates a joyous opportunity to love them both. Stanko should be praised for sticking with her mother tongue, against the temptations of "international potential", which brings many Polish singers to try their luck with texts in English. Every music connoisseur understands that vocalists are at their best when singing in their natural language, and of course even more so in case poetry is used. Stanko's interpretation and articulation of the poems is warm and wonderfully round, expressing her deep engagement with this project. The music is also excellent, and although melodic, it proves to be quite challenging at times, with twisted progressions and unusual harmonic structure. Listeners, who are not familiar with the Polish language, will still be able to enjoy this album immensely, just listening to Stanko's vocals as another instrument in the ensemble, carrying the melody. The overall level of performances is truly amazing. The vibraphone and marimba are difficult instruments, especially for the less experienced listeners, but Bukowski manages to use them subtly, often staying low-key and wonderfully supportive towards the vocalist. Lemanczyk plays absolutely stunningly, with his virtuosic bass lines carrying the music like wind over water. Konrad, a well-respected veteran, is the ensemble's chronometer, without actually playing the beat, masterfully ornamenting the music with his percussive touches. The guest musicians all contribute in their relative fields of expertise. The leading Lady is firmly expressing the lyrics and yet creating a brilliant atmosphere of fragility and insecurity, as appropriate in such context. A job well done indeed! I admit falling in love with this album immediately. Those sensitive, intelligent and brilliantly talented women always capture my musical heart filling it with passion and sweet delight. Age, experience and cynicism simply melt away. The only gentlemanly thing left is to thank Stanko for creating this heartwarming peace of musical delight and wish her God's speed. I'm already longing for the next one!